Remove DRM protection from both iTunes purchases and rentals. 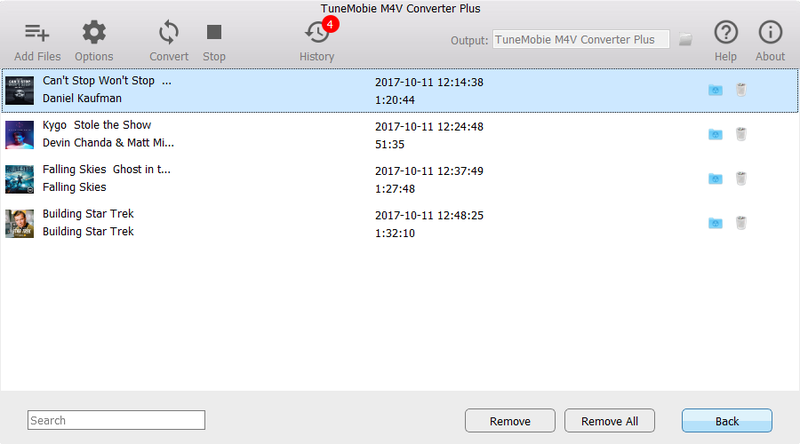 TuneMobie M4V Converter Plus 1.0.8 was available as a giveaway on December 9, 2017! 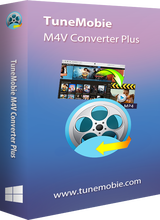 TuneMobie M4V Converter Plus can remove DRM protection from both iTunes purchase and rentals, convert iTunes M4V movies, TV shows and music videos to all-purpose MP4 video without quality loss, preserve all multilingual subtitles, audio tracks, Dolby 5.1, closed captions and audio descriptions. The program performs at 30X faster conversion speed and convert a 2-hour 1080P movie in no more than 20 minutes. The program comes with a built-in search box you can use to locate M4V videos quickly. User interface is extremely easy-to-use and intuitive. NB: The license is provided for 1 year. How would you improve TuneMobie M4V Converter Plus 1.0.8 ? 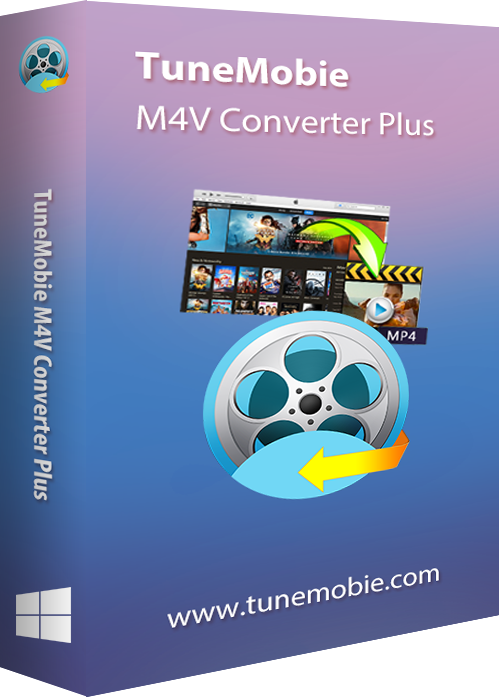 Convert purchased or rental iTunes M4V movies, TV shows and music videos to unprotected MP4 with all multilingual subtitles and audio tracks, Dolby 5.1, audio description and closed captions retained, keep 100% original quality and same resolution. Fully compatible with Windows 10 and latest iTunes 12.7. 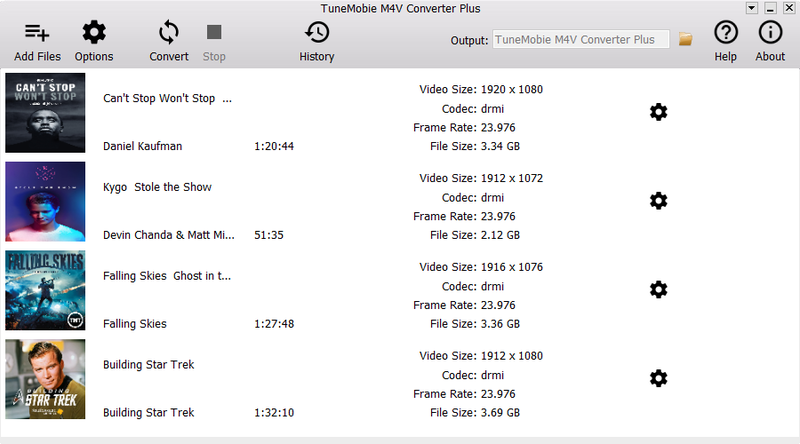 Losslessly convert iTunes M4V videos to unprotected MP4 on Mac, preserve all multilingual subtitles, audio tracks, Dolby 5.1, audio descriptions and closed captions. Convert a 2-hour full HD 1080P movies in no more than 20 minutes. Support iTunes 12.7 and Mac 10.9.5 – 10.12. Mac 10.13 will be supported soon. 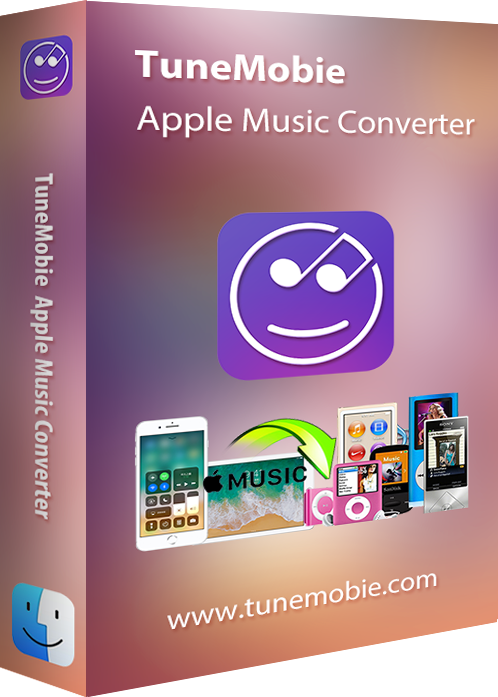 TuneMobie Apple Music Converter can convert Apple Music tracks, iTunes M4B audiobook, Audible AA/AAX audiobook and other iTunes supported audio formats to MP3, M4A, M4R, WAV, FLAC, AC3, AU and MKA as well as extract audio from iTunes M4V movies, TV shows, music videos and MP4 home videos. Ouput MP3/M4A files will preserve all ID3 tags like song title, album, artist, genre, artwork, track number, etc. The program performs at 16X faster conversion speed and allows you to rename and sort output files by ID3 tags. 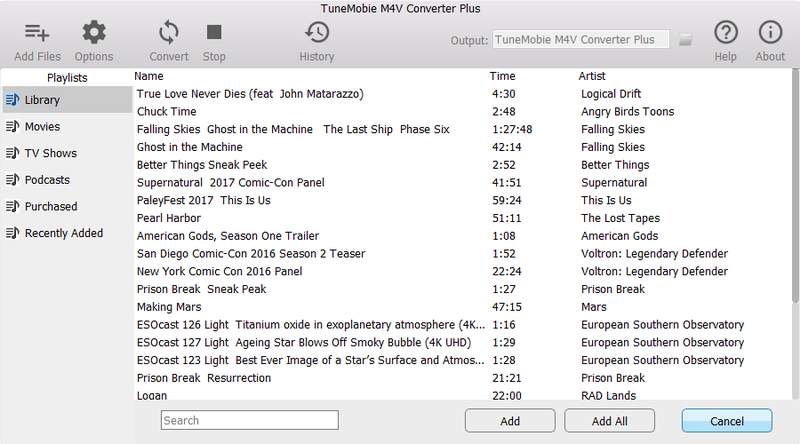 Losslessly convert Apple Music tracks, M4B/AA/AAX audiobook, M4P, M4A, etc. to MP3 or M4A on Mac with all ID3 tags and metadata retained. Enjoy Apple Music song on any devices without limitation. Fully compatible with latest iTunes 12.7 and support Mac 10.9.5 – 10.12. Mac 10.13 will be supported soon. This program was offered not to long. it’s back again. Either it is a good program or bad? Humm! Why is this better than (always free) Handbrake converter? Rob B, does Handbrake strip DRM from iTunes purchasses and rentals? I didn't realise that was amongst its list of features... It does not seem to request iTunes be already installed when I installed handbrake a while back... and this uses iTunes in its operation of DRM removal so I strongly suspect that iTunes is currently always required for ITunes DRM removal as no one has been widely reported to have reverse engineered apples iTunes DRM technology without the use of iTunes itself. 0) Their setup.exe is clean according to the usual webservices (virustotal, et c.) and tools I use. 2) Modern software should be provided with x86 and x64 versions: the installer should decide what version should be installed. 3) The user should have the possibility to choose the installation location. It is installed in c:\Program Files (x86)\TuneMobie\TuneMobie M4V Converter Plus. With the "junction trick", I was able to install it in d:\Program Files (x86)\TuneMobie M4V Converter Plus. 4) A portable version is better than an installed one . 5) The real address of TuneMobie isn't available in their website and through whois webservices on the web. They, nonetheless, want name, surname, credit cards information when trying to buy their software. 6) Shareit.com --> Digital river, used to buy the software, shows the correct currency and VAT for my nation/country (EURO and Italy, 22% VAT = IVA). 7) This company seems another clone of well-known "converter-companies", but at least they changed the USER interface this time. I'm not sure if it's better... By the way, I can NOT test software capabilities. Hi everybody. :-) 0) Their setup.exe is clean according to the usual webservices (virustotal, et c.) and tools I use. 1) I don't use iTunes. But if I should use it: 2) Modern software should be provided with x86 and x64 versions: the installer should decide what version should be installed. 3) The user should have the possibility to choose the installation location. 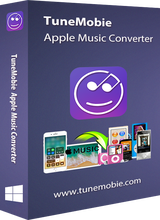 It is installed in <b>c:\Program Files (x86)\TuneMobie\TuneMobie M4V Converter Plus</b>. With the "junction trick", I was able to install it in <b>d:\Program Files (x86)\TuneMobie M4V Converter Plus</b>. 4) A portable version is better than an installed one . 5) The real address of TuneMobie isn't available in their website and through whois webservices on the web. They, nonetheless, want name, surname, credit cards information when trying to buy their software. 6) Shareit.com --> Digital river, used to buy the software, shows the correct currency and VAT for my nation/country (EURO and Italy, 22% VAT = IVA). 7) This company seems another clone of well-known "converter-companies", but at least they changed the USER interface this time. I'm not sure if it's better... By the way, I can NOT test software capabilities. xilolee, could you explain the junction trick to me? I have never heard of it, and would like to use this process in some future Programs I will Install on my Desktop. Thanks! converted 90 minute 1080P movie in 10 minutes. Subtitles and audio tracks are kept as advertised. tested with iTunes 12.7.2.58, no compatibility problem. One suggestion: Set start time and end time to convert selected segment. "The program performs at 30X faster conversion speed and convert a 2-hour 1080P movie in no more than 20 minutes. " but isn't 1/30 of 2 hours equal 4 minutes not 20 minutes? The times they are quoting is only 6X faster not 30X same goes for your results you achieved a 9X speed increase NOT 30X that is advertised. Carol, err has mathematics changed its rules recently? They say: "The program performs at 30X faster conversion speed and convert a 2-hour 1080P movie in no more than 20 minutes. " but isn't 1/30 of 2 hours equal 4 minutes not 20 minutes? The times they are quoting is only 6X faster not 30X same goes for your results you achieved a 9X speed increase NOT 30X that is advertised. TK, may I suggest that you should look at it another way. a 2 hour movie is 120 minutes. Any other software converter would take approx. 600 minutes (or 10 hours) to do a full conversion. If TUNE MOBIE software can do it in 20 minutes IT IS INDEED 30X Faster. (20 minutes X30=600Minutes). Pete R, masy I suggest if you look at it that way which the description does not say... then you can claim anything you like and make up any conditions you like for example different specifications on the machines, say a 600MHz celeron running the competing software doing the conversion , WHICH this is not converting but just removing the DRM... and this software running on a 5HGz Oct-core machine with 4TB SSD and 64GB RAM... nah I'll take it at face value and pretend the seller is saying what they mean and if their maths don't line up then that's because their marketing people believe schools don't teach mathematics any more. Pete R, So, the question should be--How many minutes does it take competition software to convert a 120 minute movie. We can only assume by backword calculation it is 600 minutes. Carol's 90 minute movie taking 10 minutes would mean the competition would take 900 minutes for full conversion. 900Divide by 30=30 minutes. (NOT 10 minutes as Carol experienced). At Carol's 10 minutes the Tune Mobie converts at 90X faster than competition. Something is indeed wrong since 90X faster is pretty close to 100 times faster, which means ZERO TIME FASTER.???????? TK, I didn't realize the mathematics problem. Sound like 30X faster is exaggerated description. I am running an old PC I bought in 2009 with only 4GB ram. Maybe new machines with better configurations can run faster. Anyway, there is no problem in my output files. This is what I want most. As it's free, I think the software developer should be praised. TK, I didn't realize the mathematics problem. Sound like 30X faster is exaggerated description. I am running an old PC I bought in 2009 with only 4GB ram. Maybe new machines with better configurations can run faster. Anyway, there is no problem in my output files. This is what I want most. As it's free, I think the software developer should be praised.